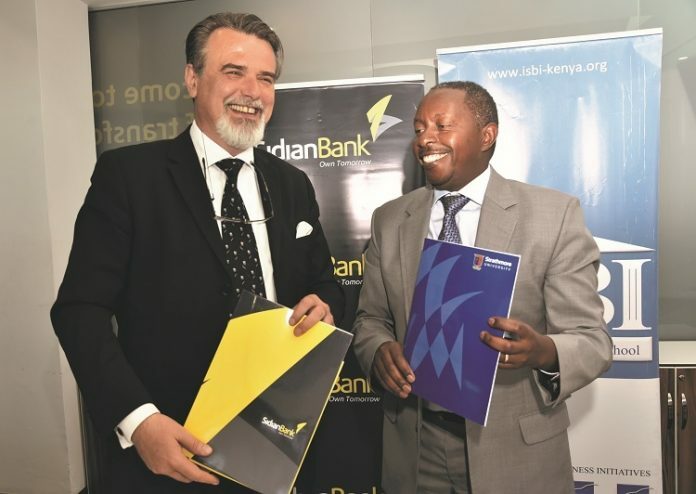 Sidian Bank, formerly known as K-Rep Bank has partnered up with ISBI Institute, a subsidiary of Strathmore Business School for the provision of business and financial literacy training for SMEs. The subsidiary will offer clients of Sidian Bank business management skills through its Advanced Entrepreneurship Programme (AEP) which is a practical and participant-centred, designed to help SMEs detect execution gaps and launch their businesses to success by maximizing their potential, at a subsidized cost. According to Chege Thumbi, Sidian bank chief executive officer (CEO), the Advanced Entrepreneurship Programme (AEP) will equip entrepreneurs with actionable insights to drive various business areas such as strategy, finance, marketing, employee management, which is a component that is lacking in many SMEs and which if incorporated, would drive businesses to achieve their aspired goals. “The two partners will benefit from bigger, financially sound and profitable enterprises. That’s why this joint initiative is an important enabler for SMEs to grow to greater heights and own their tomorrow,” said Suncan Pavlovic, managing director at ISBI, Strathmore Business School. The partnership between the two organizations is set to allow Sidian bank customers to enjoy some benefits from the program which is structured to spark self- reflection, innovation and collaboration on multiple levels through fast-paced discussions, case studies and original teaching methodologies. The program also focuses on ensuring the entrepreneurs are guided to set strategies, focus their activities and optimize costs to increase profitability and reduce risk. The partnership kicked off with an Entrepreneurship Workshop for Sidian Bank’s clients, held last month at the Strathmore Business School.